If you’re not quite sure what those numbers mean, you’re not alone. But knowing your numbers and what they mean can go a long way in preventing heart disease and a host of other illnesses. Because it’s American Heart Month, the team at SIU Medicine is here to help you learn about your risk factors for heart disease, what is considered a normal blood pressure and what is a red flag. Experts agree: Understanding your results is key to controlling high blood pressure. This number, also called systolic blood pressure, is the first of the two numbers in a blood pressure reading. It measures the amount of pressure your blood is putting on your arteries’ walls when your heart beats. As people age and their large arteries harden, this number tends to steadily increase. The bottom number, or diastolic blood pressure, indicates the pressure in the arteries while the heart is resting between beats as it refills with blood. Typically, experts pay more attention to the systolic number, but elevated rates in either number may lead to a diagnosis of high blood pressure. What’s normal and what’s cause for concern? High Blood Pressure Stage 1: 130-139 systolic or 80-89 mm Hg diastolic. At this stage, your doctor may prescribe lifestyle changes or a blood pressure medication. High Blood Pressure Stage 2: 140 or higher systolic or 90 mm Hg or higher diastolic. Your doctor is likely to prescribe a combination of blood pressure medications and lifestyle changes. Hypertensive Crisis: Higher than 180 systolic and/or higher than 120 mm Hg diastolic. Consult your doctor immediately. A single blood pressure reading does not determine whether you have high blood pressure. Your doctor will evaluate your results over time to determine if you have consistently high blood pressure. Your doctor will also evaluate any usually low blood pressure readings. 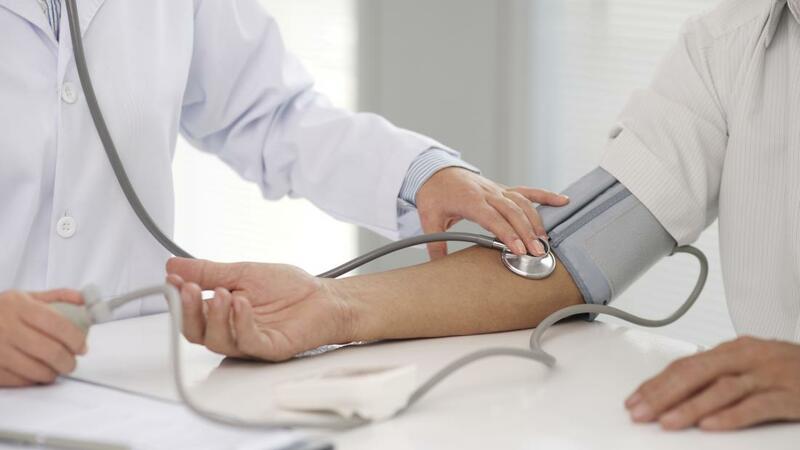 While high blood pressure rarely causes obvious symptoms, it can cause devastating effects, including heart attacks and stroke, if left untreated. To determine your risk factors for heart disease or to schedule a blood pressure screening at SIU Medicine, call 217-545-8000.